The best part about making this costume was coming up with the ideas for the hats and gadgets. 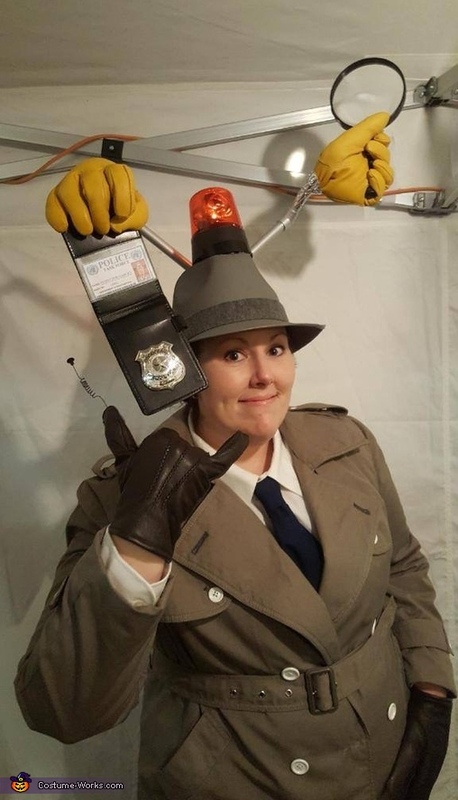 I made two hats, one with a flashing beacon, arm with badge and an arm with a magnifying glass. The second hat had a “go go gadget copter”. I made it out of a USB operated fan and it actually spun around. The gloves were all a lot of fun to make. I make the top secret gadget phone on one hand and a laser pointer, screwdriver and flashlight on the other. I also made a “go go gadget arm” that had a grabber inside so the ends of the fingers pinched together. I glued it into place using a heavy duty adhesive. However, I cut a hole in the top of the hat to access the battery panel on the bottom of the beacon first. Then just used the glue around the rest of the light.